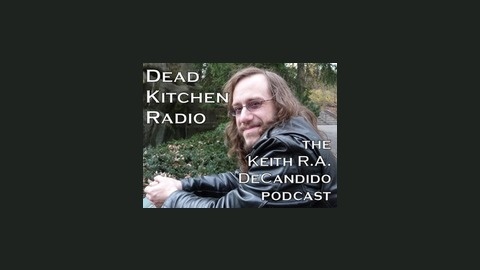 Writer Keith R.A. DeCandido shares his writing experiences in his monthly podcast. In 2015, Joe Books released the first book of Keith’s “Tales of Asgard” trilogy, in which Keith got to write Marvel Comics’ version of the Norse gods in prose form. That first book was Marvel’s Thor: Dueling with Giants. In 2016, Book 2 came out, entitled Marvel’s Sif: Even Dragons Have Their Endings. 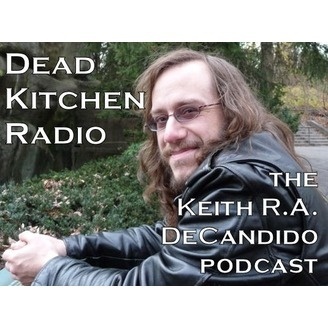 This month, the thrilling conclusion will be released, and Keith will talk all about the trilogy in general and the final volume, Marvel’s Warriors Three: Godhood’s End in particular, including reading an excerpt from the novel. Keith has always loved Norse mythology, as it’s also provided the backbone of his cycle of urban fantasy stories set in Key West, Florida. He owes that interest primarily to Marvel’s portrayals of them, and it was the thrill of a lifetime to get to write them.